Yellow Cab Pizza’s Buy 3 Take 3 All Stars promo gives your palates a taste of Italy with a New York twist. Nothing makes us happier than a feast to tuck into. 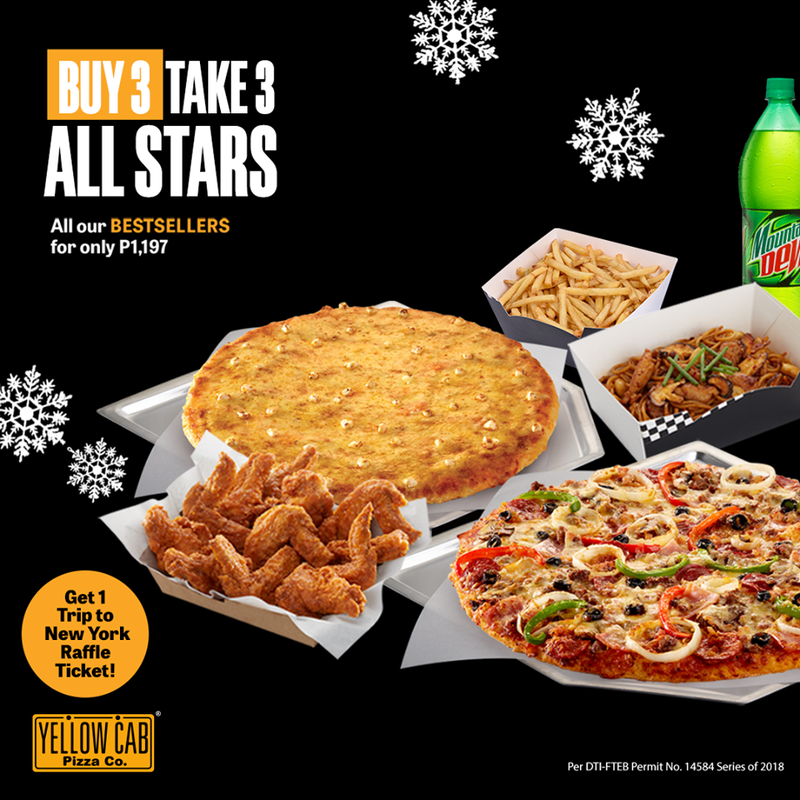 And and if you are looking for a Holiday hustle that won’t rip your pockets off, then check out Yellow Cab Pizza’s Buy 3 Take 3 All Stars. 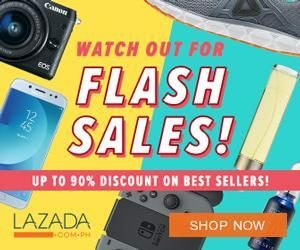 Indulge in all the best-sellers for just P1,197 when you order until December 20, 2018. Buy one (1) 10-inch New York’s Finest, one (1) Large Charlie Chan and one (1) Large Wings and get equally mouth-watering treats for FREE! Thrill your tummies with one (1) 10-inch Cheese Pizza, Large MyFries and 1.5L of Mountain Dew at NO additional cost. The promo is available for dine-in, take out, delivery and curb-side pick transactions. Fuel your hunger and call 789-9999 to order. You may also visit delivery.yellowcabpizza.com to place your order. 'yellow cab promo jan 2019' -Enjoy!